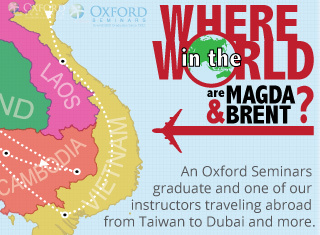 In this video Oxford Seminars instructor, Brent, and graduate, Magda talk about teaching ESL overseas & how you can get paid to travel & teach English abroad. Is teaching English abroad for you? 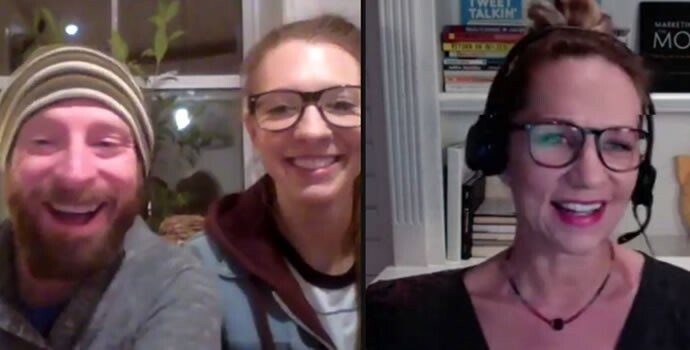 If you’re not sure, watch Magda and Brent talk about their experiences teaching English abroad for info about what teaching English overseas is like. Attend a free information session near you to learn more! 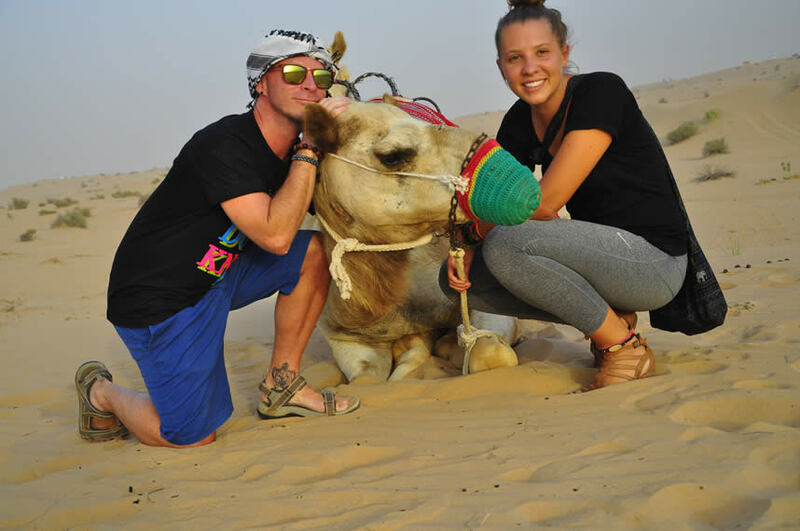 How did Magda and Brent start teaching English abroad? Is the certification process hard? Did you have to go through interviews? What is the first day teaching English abroad like? What are the most difficult challenges when you’re teaching in a new country? Did you get to visit any other countries while you were teaching English abroad? What is the social life like abroad? Do ESL teachers with advanced degrees get paid more? I want to try this. How do I go about it? 1: How did you start teaching English abroad? Brent: All through my undergrad, I had seen posters about teaching English abroad. So it was always in the back of my mind, and then when I graduated I applied to Teacher’s College, and then I got kind of afraid that I would then go to Teacher’s College, become a teacher, retire, and then die. I didn’t really want that life path so I took off to BC [British Columbia], Vancouver, and then went back to Teacher’s College. I just kind of wanted to follow that dream and go somewhere first, and as it turns out, that has been sort of the course I’ve taken for several years: go teach, come home, go teach, come home. 2: So is it as easy as saying “Okay, I want to go teach English abroad” and you just get on a plane and pick a country? Don’t you have to get certified? [To Magda] What made you decide to go abroad and teach English? I signed up with Oxford Seminars because when you teach abroad most schools require you to have a certification. I signed up with Oxford because they have the in-class component. I was like “I have never taught before, so I need some sort of experience. I need something to get me in front of the classroom, to teach me the skills that I need to make lessons and be able to speak in front of people because I was scared to stand up in front of a class and speak. So I signed up with Oxford. I took my course in May. Brent was my teacher. Brent also taught in Korea so he had a lot of insight and told me a lot about Korea and kind of pushed me in that direction. 3: Is the certification process hard? How long does it take and what were the moments you remember the most? Magda: Yeah, and there’s ones that range from $300 to like $1000 or more, so I was like “I don’t really know what to do. I have no idea what to choose.” I talked to my Mom, and she said “well, Magda, you’ve never really taught so you should probably go in front of a classroom, pay the extra little bit and get that hands on in-class experience.” So I ended up choosing Oxford. It was also in my town, so it made it a little bit easier to make that decision. A friend of mine did a course online. She paid like $300 for it. She never got her certificate, she never got her money back and she was super upset. Luckily, she already found a school in Korea and they were really understanding about it and they still hired her. So she got lucky. Brent: So she got scammed on her TESL certificate? Magda: She got scammed on her certificate. Brent: So be careful. Ask people about programs. Make sure it’s well respected. Magda: Do your research. I did a lot of research and there’s so much out there. I chose Oxford Seminars because it was in my town, it was in class, it was at Trent, it had to be a real thing. It was a really good choice. It got me in front of the classroom. Brent taught me how to teach and how to make lessons. It made me a lot more comfortable and pushed my comfort zone. 4: So the next step after certification, then what do you do? Do you have to figure out what country? What’s the application process like? Brent: Figure out where you might like to go. Like for me, all through my undergrad I had seen posters for teaching English in Japan, so that was always in the back of my mind…So yeah I was thinking about Japan, and as it turned out, one of my friends in Teacher’s College got a job in South Korea. I thought, “Well if I go there at least I’ll know someone in the country.” So I changed my direction and my focus and went to Korea. But I think that’s kind of the first step, picking where you want to go, because there are so many options. Do you want warm weather, cold weather, big city, small town, Asia, South America? Where do you want to teach and what suits you? Brent: Remuneration program? You get paid well. Magda: Yeah, you get paid really well in Korea and it’s easy to live there. Brent: Yeah they pay your housing. It’s a pretty nice step from school to whatever you do after that. You go there, most schools; they pay your flight, they pay your apartment, they pay you a pretty good salary. The cost of living is cheaper than North America for sure. So you can go and live there very, very comfortably and you don’t really have worries, like if you spend all of your money, you still have an apartment. It’s a nice transition. I paid off significant student loans in two and a half years there, which I could never have done here. Magda: So that was my decision, and also the fact that I could make money and be able to make my payments back home, and experience a culture that was totally different from my culture here in Canada. 5: What was the interview process like? Once you decided you wanted to go to Korea, did you have to go through interviews? How do you interview when you’re in a different country? Brent: Skype is the most common way, or a phone call or something like that. Obviously in person isn’t really feasible when you’re talking across the Pacific Ocean. So I had my interview at 2am our time, so I had to stay up for that. My first interview was very strange. The interviewer didn’t really speak English so it was a very broken conversation. She asked me about a couple books I’d read and then was like “Okay. Thank you.” I don’t know what happened. She offered me the job, and I had another interview two nights later, again at like 1am. And I felt more comfortable with that one because I could have a better conversation with the interviewer. So it’s a little different than your traditional interviews here. And some of the questions, they’re not always the type you’d expect for a job interview, like “what kind of music do you listen to?” I guess they’re trying to get to know you as a person to see how well you’ll adjust to living in a new country. 6: What is the first day of teaching abroad like when you first arrive in your new country? Brent: I feel like it’s a common story that they pretty much just throw you in. So don’t be alarmed by that and don’t be freaked out… If you look at your co-teachers, they probably weren’t prepared either. So talk to them and they’ll help you out. That’s the beauty of it. Everyone you meet teaching English abroad is in the same boat. Most of them came by themselves or maybe with one friend. Most of them maybe had a little bit of teaching experience, or just their TESL course, or whatever education they have. It’s kind of sink or swim. And almost everybody swims. Magda: I had a job in Taiwan lined up and they wanted me to be there two weeks early for training purposes so maybe different countries have different standards. 7: What are the most difficult challenges when you’re teaching in a new country? Brent: Language barrier. Classroom management in another language is a big one. On the plus side, speaking of Asia anyway, the students are much better behaved than they are here. They tend to respect their teachers, which is nice. Even the disrespectful ones would be in the top 10% of good kids here. 7A: What age were your students? Brent: Mine were about age 6 to 16. Magda: Mine were about the same. I had a couple adults as well. 7B: Did you have a choice of what age you wanted to teach? Magda: Yeah, for the most part. When you’re looking for your job through Oxford at least. Brent: Yeah you can let them know…and the market will dictate some of that. So in Asia especially, the vast majority of jobs are teaching kids. But…some places in Mexico and Central and South America are more adults, and even in Eastern Europe you might see more jobs teaching adults. 8: Did you get to visit any other countries while you were teaching English abroad? Brent: While I was teaching in Korea, I went to Malaysia for two weeks. I had finished my contract and I was going to come back but I wanted some time off in between… I went to Taiwan, I went to Japan. Magda: I spent a year and a half in Korea in total. I went to the Philippines twice when I was there, and I went to Hong Kong as well. I spent a lot of time traveling in Korea… There’s a lot to see in Korea as well… There are festivals on the weekends, you go snowboarding or skiing in the winter time, there are lanterns, you can climb mountains. So you have opportunities to travel every weekend. Even if you’re not going very far, you can still travel within your country and see lots of things and do lots of things. 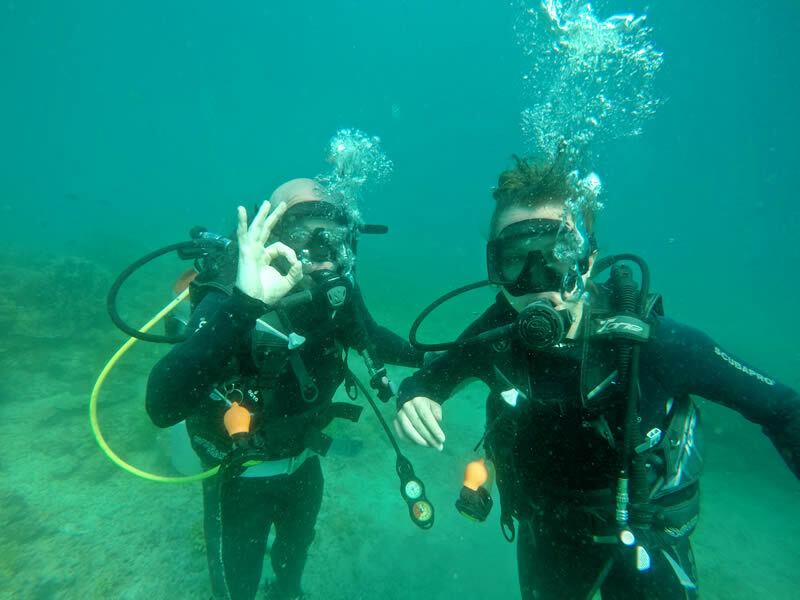 But yeah, as Brent said, we spent a lot of time traveling after we finished teaching. Brent: …Save your money and you can do something like we did and see 15 countries in 6 months. 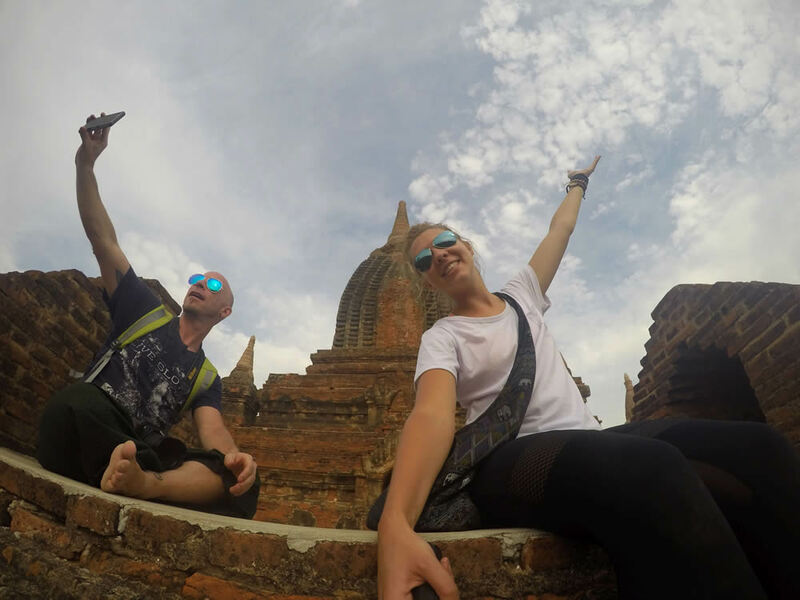 It started out as a six week trip to Thailand… and that snowballed into a massive [trip] all through Southeast Asia, the Middle East, Eastern Europe, Iceland and home. So I would recommend that. Save your cash and then plan an epic trip and really go do it right. 9: So it sounds like traveling is really accessible and easy to do…What about when you’re not traveling outside of where you’re teaching? What’s the social life like? Brent: I thought it was great. I equate my time in Korea to sort of like your first year of college or university, but with money. You’re meeting all kinds of new people… you’re arriving on your own and meeting all these people. It’s pretty easy, I found, to meet people. You hear somebody speaking English and you just go talk to them like “Hey I’m Brent, where are you from?” and conversations and friendships just grow from there. Magda: It’s so easy, and I feel like the people that I met abroad, I had so much in common with them. A lot of the people that do go and teach and travel, they have a similar mentality to you. And you make these bonds with these people and you’re so close even though we’re all over the world now. Brent: And Korea especially, they’re a pretty social country. A big part of their culture is just going out with their friends or family or coworkers, so I found it really, really easy to fall into a social group there. Magda: There’s a lot of Facebook meetup things as well, like Seoul hiking group. Brent: And even if you just got there, and you’re nervous and you haven’t met many friends and you’re at a small school and you see one of those [meetups], just go… and you’ll meet people almost instantly and there’s a good chance that you’ll meet people that will become lifelong friends. Magda: All those people are in the same boat as you so they will understand. 10: Is it easier for current language teachers to begin teaching abroad? And do you get paid more if you have a master’s or doctorate degree in a language? Brent: Yeah, if you have some teaching experience or if you’re a current English teacher… you’re going to have a leg up on the competition because the people competing for that position maybe don’t have that experience, so that will help you. That’s the same reason I tell people to get a TESL certificate. Even if it’s not a requirement where you’re going, having one puts you ahead of all the people that don’t. Do you get paid more if you have a master’s or a doctorate degree? Typically you’ll get some sort of bonus for higher education and advanced degrees. Magda: You’ll have more opportunities. You can teach at an international school, which often requires a teaching degree or a master’s and a couple years of experience teaching as well. Brent: But they pay significantly more. Magda: Countries like the UAE [United Arab Emirates], they also require that you have some experience and advanced degrees. 11: I want to try this. How do I go about it? Lisa: There are info sessions all over Canada and the United States. Whatever city is closest to you, you can probably find one. Go to a free information session and go through the certification process if it’s for you. You can find all the information on oxfordseminars.com. Brent: Look online. Look for an information session and come to that and get to know the instructor… Look on the ESL schools directory on oxfordseminars.com. Look on other sites. Like Dave’s ESL Café is a good one. You can just get a sense of how many jobs are out there in certain areas. Figure out where you might like to go, get certified, and start applying. As long as you’re open-minded about where you’d like to go, there’s a very good chance. Magda: Where there’s a will there’s a way. Brent: Exactly, and then you get to go travel and get paid to do it! Magda: If you don’t have the education, there are so many other countries where you don’t need that university degree. Brent: Yeah, you can teach in China. You can teach in many different places. Magda: There are so many options out there. There are so many countries you can go to. Do the research. Oxford Seminars has a fantastic page, there’s so much information on there. 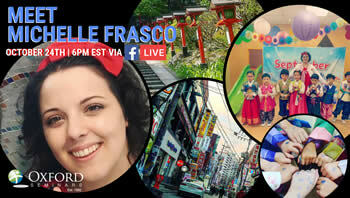 Follow us to get notified about future Facebook Live Q+A’s with grads, ESL teachers, and travelers all over the world! 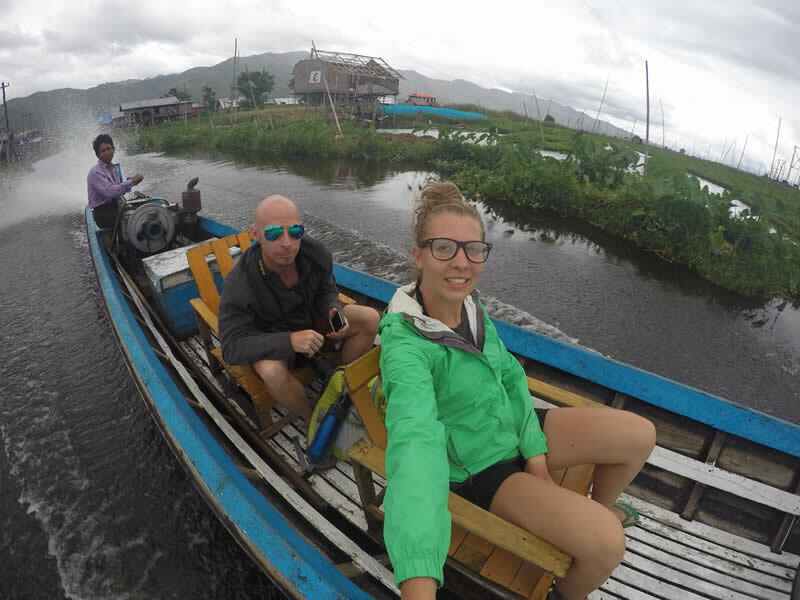 Ready to teach English abroad and get paid to travel the world?